For important or high transaction applications we recommend a mixture of replication and clustering. This will give you complete automatic fail-over of databases as well as load balancing of transactions across multiple databases. What is SQL Server Replication? Replication is a method for duplicating and sharing data (and database objects) across multiple databases. Preserving consistency by syncing between databases. 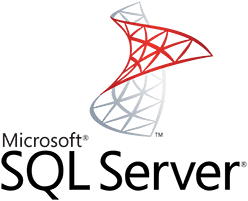 Why use SQL Server Replication? Replication is usually used by mobile applications or server apps that are distributed and might have conflicts in the data. Clustering is essentially installing more than one SQL Server instances into a cluster. It uses a SAN for shared storage. It lets you access all the data for the SQL Server instance from any instance (or node) you want. So if one node has an issue, you can seamlessly switch to a different node on the cluster. If you need HA (High Availability). If you want to be able to workaround hardware failures. If you need to patch with no downtime. If you need things to ‘just work’.